The complex will be built on 108 acres of land of which 37 acres will be dedicated to the theme park itself. This theme park will become the biggest in Europe, attracting around five million visitors per year, 50% more than Spain’s current largest theme park, Porta Ventura.As previously reported by the Leader, the site will also have cinematographic studios, which will be the centre of all Paramount’s productions in Europe. Mediterranean destination for the British, the numbers of visitors this year has increased compared to last year. If you are visiting the Costa Blanca (north or south) or the Mar Menor area of the Costa Calida and would like to spend a couple of days of your holiday viewing property just let us know what you are seeking and we can arrange for a consultant to be available. We also have access to independent solicitors and mortgage advisers to assist in your purchase. There has been a lot of press coverage about the proposed Paramount Theme Park to be built near Murcia city. The proposed site is close to the new Murcia airport at Corvera, just south of Murcia City. The airport should be fully operational for next summer, with the first flights planned for the autumn. This is not the first time a date for the airport to be opened has been given, but this time they do seem to be making clear progress towards operational use. 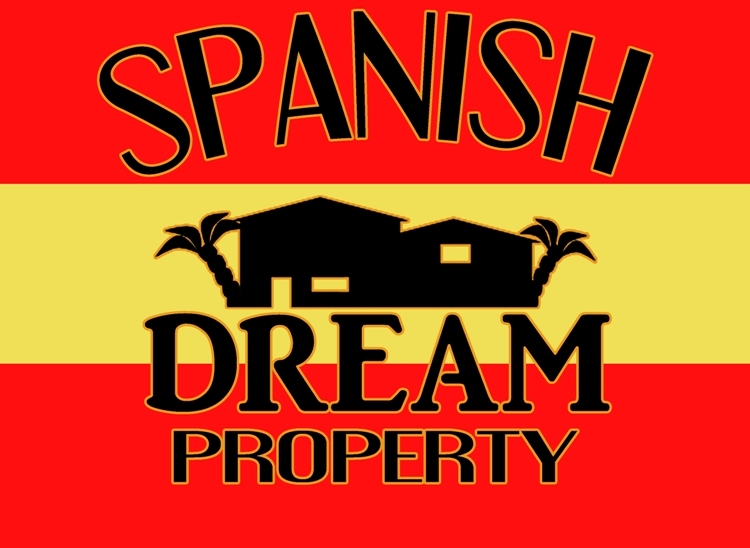 We have just started our very own Spanish Dream Property page on Facebook. If you are on Facebook yourself please do have a look. We will be developing it further in the coming weeks. Please 'like' the page to keep in touch. 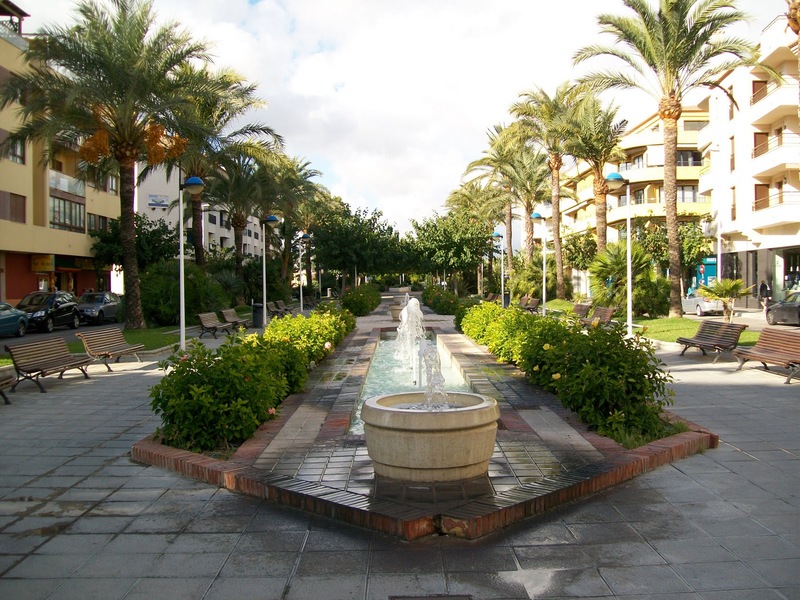 Our first property this month is a great apartment, located close to the proposed Paramount Theme Park and not too far from Corvera airport and Murcia City itself. 90%-100% mortgages available (subject to status). 2 bedrooms and ready to move into. Communal pool, 18 hole golf course plus tennis, squash & basketball courts and a football pitch. Just 20minutes drive to the nearest beach. Detached villa with a private pool, 3 bedrooms, 2 bathrooms, garage and views towards the famous Calpe Rock. Moraira town is a short drive away. We have nearly 2000 properties on our web site at present, and many more we can access that are not listed. The northern Costa Blanca covers a wide area with very differing locations so we only have list sample of what is available there. Send us the criteria for your dream home in the sun and we will search for you. Our services are free. View property with no pressure with our trained consultants. Are more Brits seeking property in Spain?Article Date : 08 July 2011 There are signs that Brits are taking an interest in property in Spain, it has been reported.Figures released by the Overseas Guides Company (OGC) showed that the number of requests for its publication about buying real estate in the nation rose by 24 per cent between January and May this year, A Place in the Sun revealed.Speaking to the news provider, director of OGC Kim Brown said: "The country continues to appeal because of its high level of Brits already living there providing a settled community of expats, the weather, the lifestyle and the easy access from the UK. "And there are currently some good deals to find on Spanish homes, with the nation's Central Bank commenting last month that prices may fall further.In an interview with The Olive Press, director general of economics, statistics and research at the financial institution Jose Luis Malo de Molina said that the high number of unsold properties is continuing to drag values down. 3 Bed, 2 Bath Townhouse in Cabo Roig, Costa Blanca South Ref: HE5380Type: TownhouseArea: Costa Blanca South Town: Cabo Roig Beds: 3 Baths: 2 Pool: Yes Price: €100,000 Description: This very spacious 3 bedroom, 2 bathroom townhouse is situated in Cabo Roig and is within a few minutes walk of all the local amenities, shops, restaurants, bars and beaches. The property comprises of off road parking, a covered entrance porch, a large lounge/diner, a kitchen, a shower room and a double bedroom, on the ground level. Upstairs there are two more double bedrooms, a family bathroom and a sun terrace. Thousands of new homes unsold in Spain Article Date : 07 July 2011 Figures published by the Spanish government have revealed that at the end of 2010 there were almost 700,000 unsold new homes in the country, AFP reported on Expatica.com.According to the news provider, the public work, housing and transport ministry announced that this represented a drop of 0.08 per cent over the previous 12 months.In fact, new home sales in Spain increased by 5.9 per cent during 2010, the first rise following three years of declining transactions.The Spanish government estimates that the country will not be able to clear the majority of its unsold housing stock until 2014, the agency revealed.Meanwhile, A Place in the Sun reported figures from Catalunya Caixa Bank last week, which stated that 85 per cent of the homes contributing to the oversupply are located in holiday destinations.As a result of the glut, real estate in Spain can be purchased for 70 per cent less than its peak market value in some cases. Description: A very well presented detached villa with a mountain backdrop and views to the mountains and valley. The plot is easily maintainable and has a driveway, feature well, mature plants and trees and to the rear a spacious garden where there would ample room to build a pool. The property has an open, arched naya leading into a lounge/diner with barrelled , beamed ceiling and Tosca stone fireplace, and an adjoining American style kitchen. There are also two double bedrooms, one with an en suite bathroom and a guest shower room. The property benefits from having mains gas and drainage, Sat T.V., telephone, hot and cold air-con, gas radiator central heating and Upvc double glazing. 3 Bed, 1 Bath Townhouse in Los Altos, Costa Blanca South Ref: HE6007 Type: Townhouse Area: Costa Blanca South Town: Los Altos Beds: 3 Baths: 1 Pool: Yes Price: €95,000 Description: This 3 bedroom, 2 bathroom townhouse is located in a great location with wonderful sunset views over the mountains.The ground floor contains a lounge / diner, with working fireplace, a separate kitchen, double bedroom, shower room, and tiled back garden. Upstairs you will find 2 double bedrooms, one with its own sun terrace, and a nice bathroom. The front garden is tiled, and has a terrace for outside wining and dining. The house also has the use of the communal pool close by. Supermarkets, shops and restaurants are only minutes away, and just a short drive to the beach.Great offer !